The Stikland CID plays a vital role in the efforts by all Capetonians to save water. 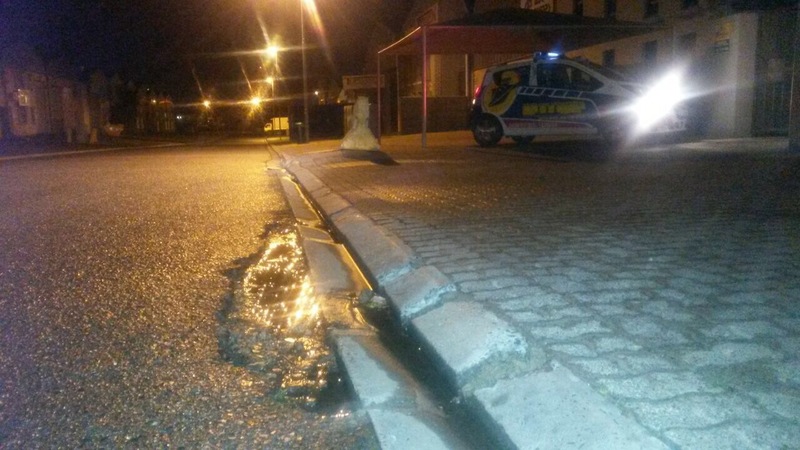 Quite often our patrols vehicles detect the leaking water meters and burst pipes in the small hours of the morning and through the Stikland CID Control Room alert the City of Cape Town as soon as possible. This results in a quick reaction from maintenance crews but more importantly, vast amounts of wasted water are prevented from leaking away into the storm water system because the City can shut off water supply and make repairs. Often the only evidence of this vital work is the sandy patch in the road from the work done while the rest of us were fast asleep.